Rats are considered a pest as they spread harmful diseases, contaminate human food and damage people’s property. Keye Pest Control Exterminators can help you with efficient rat control to effectively eliminate the rodents in your property. If you have any doubts about having a rat problem, contact us for professional pest inspection and we’ll determine if there is any rodent activity in your property. You can request pest sanitation service at preferential rates. It’s best to be done at least 3 or 4 days after the rat control treatment. We ensure all places the rodents have reached will be cleaned and sanitised. In case there is a rat carcass, we can also provide dead animal removal at very affordable rates. Why Rats Come to Our House? · Food – Wild rats are omnivorous eaters which means your house is the perfect place for any grains, fruits and vegetables, seeds and nuts and any other edibles they might find. Rats are particularly active at night which makes them hardly noticeable. During the day, they are looking for food, shelter, water and that is the time when they leave indications they inhabit your premises. As mentioned the actual pest may never be spotted at the crime scene. But don’t worry that doesn’t mean you can’t deal with them. Below we have listed the typical signs that could indicate you have a potential rat infestation. There are 2 types of rats in the UK – the black rat or ship rat which is rarely found in the district, and the common brown rat. To confirm an infestation, you may notice the following signs of rats around your property. Rat’s poops are up to 12mm long, black and tapered at both ends. Those cute little rodents usually produce about 40 to 50 pellets per night, concentrated in specific areas in small or sometimes large groups. The size of the faeces can lead to learning the size of the rat, the possible number of rodents infesting your property and whether they are still active. Another important factor is the age of the rat droppings. Remember if you want to check whether they are fresh, do not ever touch them with bare hands since they can spread disease and bacterial illness. Rats have poor eyesight and that is why they use only established routes to reach their destinations. Every time they travel around the house greasy fur marks are left behind. These signs can be seen on muddy or dusty surfaces around your home. 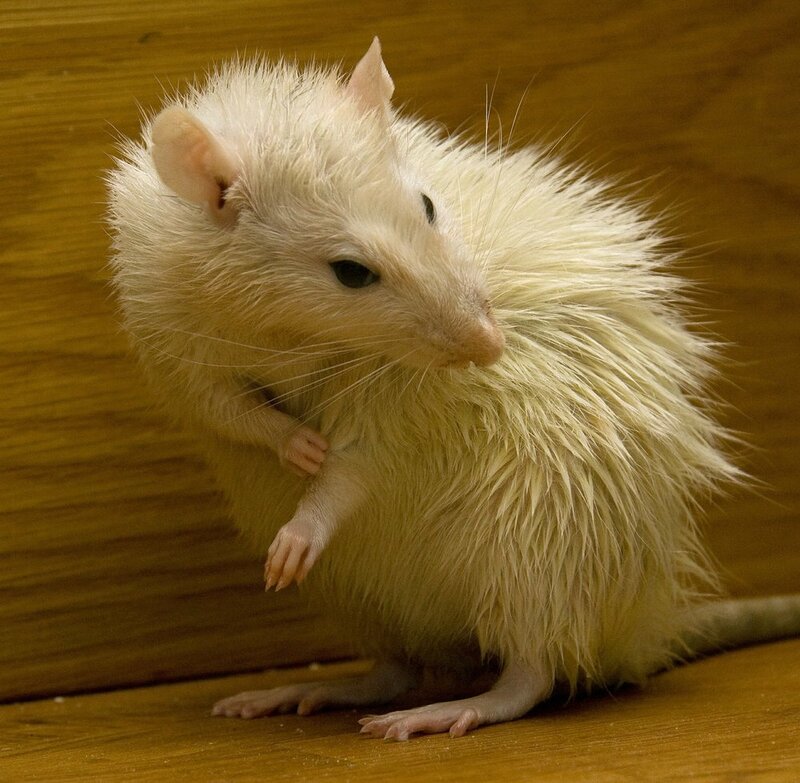 Smears are dark grey marks left on surfaces by repeated contact with the oils in rat fur. The rat noises alternate between chattering, squeaking and hissing. The chattering is produced when a rat grinds his teeth together and indicates both stress and relaxation. The chattering noise is also known as bruxing. If the rats feel fear, pain or they just want to alarm, they usually squeak or hiss. So, if you think you might have rats in your roof, attic or ceiling, try to capture the scratching noises and identify them. Rats are capable of chewing through wood and concrete which helps them to create burrows anywhere they want. · The rat exterminator will do a full property inspection before starting the procedure. He will use advanced pest control equipment to detect all rodent activity in narrow places. – Brush door seals to fill any gaps under the door. – Vent mesh to fill the holes in your ventilation system. · Knowing the serious impact rats can have on your health, the pest controller will fully remove them from your property and its surroundings using chemical and non-chemical techniques, such as rat traps and bait stations. · The rat specialist can also advise you about how to prevent future rat infestation in your home or office. Note: A rat treatment can take up to 3 weeks to be fully effective. However, if we identify the high activity areas early on, results will be noticeable sooner. If you want to receive a quote, go to our contact form. Got any additional questions? Call us 9-5 on our number 07719013244. Pest birds can be a real problem for any business across North Warwickshire. Not only do they cause a mess, but they can also be a health hazard – and a little frightening especially when defending their nests. At Keye Pest Control we frequently receive calls from people who are complaining from a bee infestation at their home. Most of the times, it turns out it’s wasps that are disturbing our customers in Coleshill, Water Orton and Warwickshire. It is very rare in the United Kingdom for Fleas to transmit diseases. However, they can cause considerable distress to young children, who play on the floor, and pets.